God has chosen us to carry out His work. This generation is hurting and is in need of repair. God is calling us into righteousness. He is calling us to work on our relationship with Him and to get closer to Him. Righteousness must be in place to produce change. Righteousness allows us to live in a blessed state. 2019 Theme: Preparing the Church through Recovering, Rebuilding, and Repairing this Generation. There are things that this generation cannot see nor understand because they have never been taught. Sometimes we judge this generation on a standard they don’t meet, but they can’t meet it because they have never been taught. God is calling us to recover, rebuild, and repair this generation. To challenge us to rise to a new level of righteousness. To prove our love for God’s people. Purpose: That we will establish ourselves as being trustworthy. To be trustworthy to carry forth the work. To be used by God to do His work. Goals: That we will serve a righteous cause. 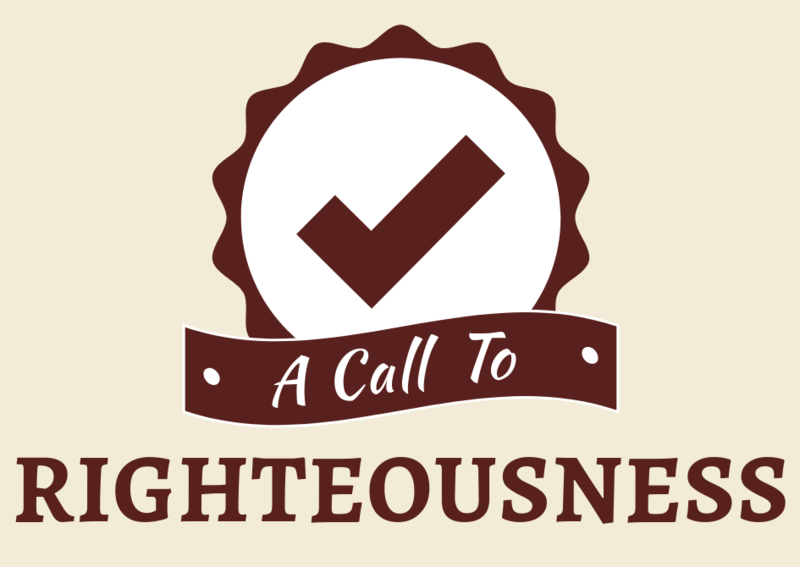 1) Why is God calling us to righteousness. 3) How to be righteous. 4) The benefit of righteousness. 5) Moving from religion to relationship. 6) Raising up the standard of righteousness. 7) How to respond to the call. 1) One is being right with God, meaning having a relationship with Him. This is called having a position of righteousness. 2) The second aspect is the disposition, meaning where we are in our relationship with Him. This is called the disposition of righteousness. God can change us through our relationship with Him. He put His spirit in us to cause us to keep His commandments. Our relationship with God is important to Him because he can change us through our relationship with Him. We have to deal with the disposition of righteousness to get properly aligned with God. Righteousness comes with a relationship with God for those who believe. Gods love for us sent Jesus to be the propitiation of our sins, so we can be qualified for His benefits. a) We have the gift of His grace. b) We have been justified. You have been stamped right. God declared you right even though you were wrong and doing wrong. Forgiveness is a gift from God. d) We are friends of God. You went from an enemy to being a friend of God. e) We have the benefits of God. God has made you eligible for all his benefits. f) We have a changed heart. There is nothing man can do to change their own heart. The heart is a root cause of issues in this life. g) We have changed actions. A changed heart causes you to change your actions. In order for God to save man, He had to change your hearts. Righteousness is a gift to those who believe. Righteousness is God’s only option to affect change. God is calling us to righteousness to affect change in us and through us. Righteousness is the precursor to change. This generation has to become right with God or there will be no change on the inside. The heart is the source of all our issues. If we can change the heart, the actions will change. Success with God begins in the heart.